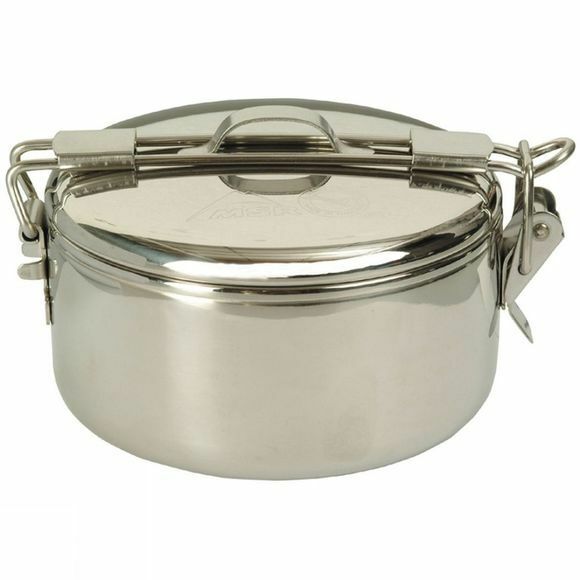 The MSR Stowaway 775ml pot is a high quality, durable stainless steel pot which converts instantly from a dry food carrier to a cooking pot. It also has a hinged handle that flips over the fitted lid locking it in place. NOTE: Only one pot included. Picture shows different configurations.